51 mile post C&O Canal, Lander Rd. Tour the restored lock house at Lander and learn about life on the C&O Canal. Open weekends in the summer. From 1828-1924 the C&O Canal functioned as a transportation route for goods and passengers on the 184.5 mile route from Cumberland, MD to Washington, D.C. Today, millions of visitors come to bike, walk, picnic, fish and paddle along the canal while enjoying the scenic beauty of this historic path. 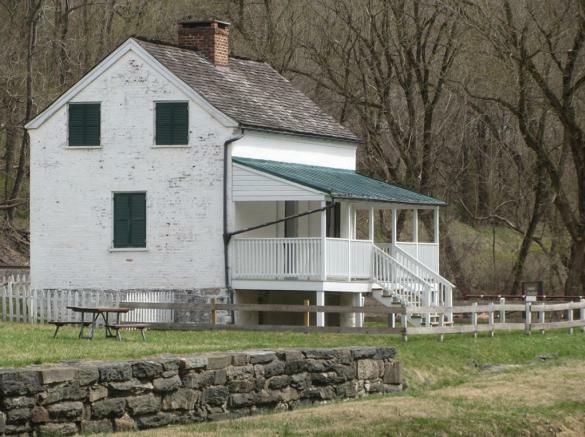 Original structures, including locks, lock houses, and aqueducts, dot the path and provide opportunities to learn about the history of the canal.